Have you ever felt your life slowly going in a new direction, even a good direction, but you still felt hesitant about the change because of the unknown variables? Maybe you had the opportunity to take a new, better job in the same company. Maybe you were offered a raise that would require a little more responsibility. Maybe you felt compelled to step into a new volunteer position or start creating in new ways. These changes, sometimes they can percolate up into your awareness in a gradual way, almost unnoticed. But then, suddenly, you see what’s happening. And you’re not sure what to do. Should you resist? Make the leap? Allow things to continue unfolding, or make some hard decisions? This is how I have felt for most of the summer. My writing life has been changing, not due to any conscious choice on my part, but due to new circumstances. For most of the last seven years, I have blogged almost daily. I did take almost a year off at one point, and this year I only posted once a week or so, but for the most part, blogging has been a huge part of my writing life for almost a decade. Over a thousand posts. Over half a million words. Then this summer happened, a whirl wind of new things. It has contained the lead up to the launch of my first novel, The Day the Angels Fell (you can preorder it on Amazon, B&N, ChristianBook.com, or from your local bookstore – it’s even on audio!). I’ve been working on a co-written book that I love, one that included a trip to Iraq earlier this year. I’ve got a serious, in-depth revision coming up for the sequel of The Day the Angels Fell (coming out next summer, which you’re going to love). 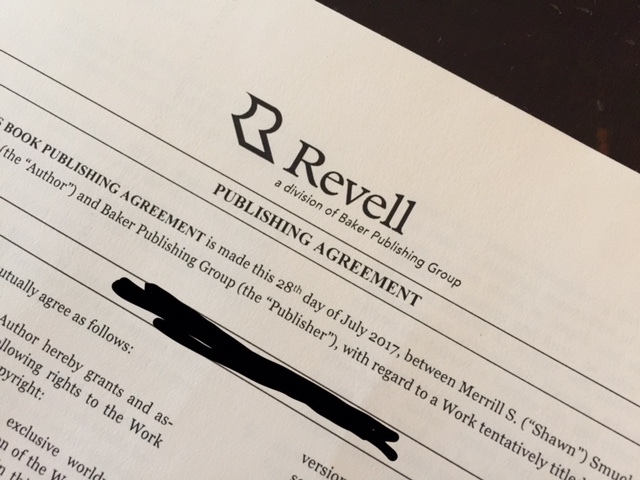 And (this is the fun announcement), I’ve signed on with Revell to do my fourth traditionally published book, a work of nonfiction, one that will come out at the end of 2018 (you’ll hear more about this one in the fall). Writing my own books (and selectively taking on co-writing projects) has been the writing life I have been eyeing up for at least the last seven or eight years. And while I’ve made a good living during that time by co-writing, this year and next will be the first years that I release my own traditionally published fiction. I’m thrilled about it, and it’s thanks to all of you and your support that it’s even happening. But when good things start to happen, when these positive shifts start taking place, there are always things we have to set to the side. We simply can’t do everything. Blogging is one of the things, at least in the short term, that I have to put down. But you know what? I didn’t know it, not for sure, until I read this post by Tsh called “Changes.” Turns out, she’s going through a similar season in her writing, and reading her post helped me navigate my own thoughts about change. I’ll still be floating around Facebook and Twitter and Instagram. I’ll still be sending out the occasional email newsletter (which you can sign up to receive HERE). I’ll still let you know when my books are coming out. But I won’t be blogging much, if at all, for the rest of this year – and yes, this means a pause on the ever-popular Rideshare Confessional series (but I’ll still be driving for Uber and collecting stories to share later). Hitting pause on my blog-writing makes me a little sad, but I want these books to be the best possible books they can be, and I only have so many words. I think my writing life is going down a similar path. Sometimes, we have to be willing to lay aside things we enjoy in order to go deeper into the things we’re called to do. I couldn’t be more excited about the books I’m writing for you. Now, it’s time for me to focus on them. Is there an impending, necessary change in your life you’re hesitant to make? Leave a comment below – I love hearing from you. Exciting news but will miss the uber posts but look forwar to the books! Blessings! Great to here, Shawn. Congratulations. .You’ve given me a boost of thought and direction to help get my writing aspirations moving where they need to be. Thanks. Shawn, your writing is such a blessing to me, a fellow writer. I’m selfishly sad you’re setting aside the blogging for a season, because I’ll miss it! But I’m sooo refreshed by hearing you’re not trying to squeeze another thing into your already full life. I just finished writing a 3 book series for a traditional publisher. I’m finding myself tired and burned out and letting go of things that don’t move me into the center of where I believe God is calling me next. It’s hard. People don’t understand. So I’m praying for grace and strength to persevere in that direction. Praying the same for you, too, and looking forward to your book. Shawn, congratulations! I always look forward to your blog posts and will definitely miss them. You are such a good writer and a huge inspiration to me. I cant wait to have a copy of “The day the Angels Fell”. All the best, Shawn. I currently find myself in this same exact place with my art. You paint with words, me with brushes and color. My husband was diagnosed with a rare blood cancer last year and it rocked me to the core. I thought ALL our dreams were lost. Long story short when he finally reached clinical remission and I felt like I could breathe again I committed to fighting for my life again too. I’m trying to find my joy. Find my own truths and the hard part, express them. I will cling to the quote you shared along with Gods word that is the Truth that is my foundation.